As in-home care continues to be the most cost-effective and practical setting for the best patient outcomes, Well Care Home Health, and the industry at large, are poised for an incredibly bright future. Well Care Home Health announced today Jaimee Marsicano, RN, as the new, Senior Director of Home Health Operations. Marsicano served as the Interim Senior Director for two months prior to accepting the permanent role. A key member of the senior leadership team, Marsicano oversees daily operations for Well Care’s home health divisions, including all financial and clinical outcomes. She plays an integral role in strategic planning, organizational design, and the overall direction of Well Care’s home health operations. The announcement of Marsicano’s new position comes on the heels of Well Care Home Health’s 2017 HomeCare Elite® recognition, an honor granted to the top performing home health agencies in the United States. All three Well Care Home Health branches across North Carolina have achieved this recognition. “I’m honored and humbled to lead Well Care Home Health’s clinical teams across North Carolina,” said Marsicano. “Our 5-star ratings by CMS, and the HomeCare Elite® recognition, are solely attributed to Well Care’s remarkable employees. As in-home care continues to be the most cost-effective and practical setting for the best patient outcomes, Well Care Home Health, and the industry at large, are poised for an incredibly bright future,” Marsicano said. Marsicano has been a member of Well Care’s senior leadership team since 2014. She was previously the Director of Clinical Excellence and led all clinical teams company-wide to ensure the highest quality care and an exceptional patient experience. Marsicano also served as Well Care’s Director of Performance Improvement and Education where she facilitated programs to meet accreditation standards and regulatory guidelines. 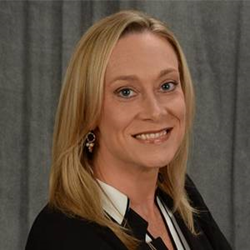 She analyzed data and led performance improvement opportunities through infection surveillance, customer satisfaction surveys, and risk management. In addition, Marsicano enhanced the onboarding of new clinical staff and supported existing staff through defined education programs. “Jaimee has been an incredible asset to the Well Care organization for 8 years,” said Wanda Coley, President and COO of Well Care Health. “She has played a vital role in developing care delivery models, refining the patient experience, and improving efficiencies for the agency. Jaimee’s experience thus far has paved the way for her to lead Well Care Home Health in new and existing markets. Her enthusiastic approach to clinical leadership and patient care aligns with Well Care’s vision. We are fortunate to have Jaimee on our senior leadership team,” Coley added. Marsicano first joined Well Care Home Health in 2010 as a Registered Nurse Case Manager, after relocating from New York. She was responsible for the oversight of patients, their care plans and the utilization of clinical resources. Marsicano brought a decade of experience with her to Well Care Home Health, having worked in the surgical and trauma units of Valhalla, New York's Westchester Medical Center. Her clinical skills were honed through years of direct patient care, while she gained management and administrative expertise through progressive responsibilities. As the nurse manager on a 43-bed surgical/trauma unit, Marsicano oversaw a large staff and was responsible for developing care plans, maintaining practice standards, implementing quality improvement projects, and ensuring employee competence related to job performance expectations. Marsicano holds an Associate of Science degree in Nursing from Orange County Community College in New York. Well Care Health is a family-operated, in-home care company based in North Carolina. Headquartered in Wilmington, the agency launched in 1987 with seven employees and began providing home care services to patients in New Hanover County. Today, Well Care Health is an integrated post-acute care company that encompasses the entities, Well Care Home Health and Well Care Home Care. The agency serves more than 40 counties in North Carolina, from the coast to the Triad, and employs more than 800 people. Well Care Home Health currently has three regional offices across the state – in Wilmington, Raleigh (the Triangle), and Advance (the Triad). Well Care Home Care has offices in Wilmington, Goldsboro, Jacksonville, Supply and Whiteville. The company plans to grow in North Carolina and across state lines in the future.